Celebrate the 4th of July on the North Shore! Summer is in full swing on Chicago’s North Shore and the excitement is rising with the 4th of July just around the corner! Whether you live in Deerfield, Glencoe, Winnetka, Highland Park or Northbrook, or you’re planning on visiting friends and family for the extended holiday weekend; you’re in for a great time on the North Shore! As a North Shore Real Estate agent, I enjoy showcasing what each community has to offer and great events that take place throughout the year. I feel it’s important for those relocating to the area to get a feel for the lifestyle that they’re sure to enjoy when they move to the North Shore. There’s always something to do in these great communities, so no matter where you live on the North Shore; you’ll appreciate the vibrant lifestyle! Here’s a look at how a few of our North Shore communities are celebrating the 4th! - Don’t miss out on the 50th Annual Deerfield Family Days on July 3rd and 4th! These fun-filled days offer a range of activities! Fireworks will take place on July 3 at 9:15pm at Brickyards Park and are sure to impress! On July 4th, kick your day off with a pancake breakfast and an arts and crafts show you can peruse throughout the day. The Deerfield Rotary Club 10K/5K race/walk will begin at 8am and offers a chance for all fitness levels to be involved! The rest of the day is filled with the beloved bike parade, petting zoo, pony rides, live entertainment and much more. You'll enjoy this family friendly weekend in Deerfield! Check out the Deerfield Family Days website for more information. - This year, Highland Park has given its’ 4th of July celebration the theme “Highland Park Public Library: 125 Years” and this holiday is sure to be filled with various festivities! From a Children’s and Pet Parade, to the annual Fourth Fest in Sunset Park, and fireworks at dusk; you’re sure to find something fun for everyone! From 11am to 2pm, Sunset Park will be hosting musical performances, local food vendors, rides, games, a petting zoo and much more! To learn more about how Highland Park is celebrating, visit the Highland Park website. 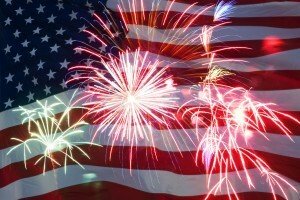 - Glencoe’s 4th of July celebration is an all day, fun-filled event that’s great for the whole family! Starting at 8am, you can participate in the 2 mile Rotary Fun Run to get your energy up for the day. An art fair on the Village Green, Children’s Carnival and parade are just a few of the events taking place during the day. In the evening, find yourself digging for buried treasure at the Patriotic Treasure Hunt at Glencoe Beach! The night continues with contests, children’s entertainment and fireworks on the beach! See the full schedule on the Glencoe Park Districts website. I hope you’re able to take part in a few of these events! If you’re considering moving to the North Shore, participating in these festivities will help give you a better sense of what the community has to offer. Of course, I’m also always available to answer your questions about the North Shore lifestyle and what you can expect from the North Shore Real Estate market, so feel free to contact me anytime! Summer on the North Shore is an exciting time, especially if you’re considering buying a home in Winnetka, Deerfield, Glencoe, Highland Park, Northbrook or any of the other North Shore communities. There are new homes coming on the North Shore Real Estate market each week and there’s always a buzz of activity as people are out in the great weather looking at available homes. If you’re considering buying a home this summer, there are a few things you’ll want to know about purchasing a home during this busy real estate season. As a North Shore Real Estate agent, I always want to ensure my buyers are fully prepared to enter the North Shore Real Estate market with appropriate expectations. Here are a few tips for navigating through the summer North Shore market. 1. Look past curb appeal- Summer is a great time for sellers as their home is being shown in the best light possible. Budding flowers, lush trees and green grass set the stage for a home to show well. Buyers see beautiful curb appeal and can instantly fall in love with the appearance of the home and its charming setting. Yet, it’s important to look past curb appeal and focus on what’s going on inside the home. Take note of any major updates or repairs you’ll have to do to make the home move in ready and take those factors into serious consideration. 2. Start your search early- If you have children that will be starting school in the fall, you’ll want to find and be settled into your new North Shore home before the school year starts. Moving early to mid summer will allow your children to meet others in the neighborhood and feel less nervous about starting at a new school in the fall. 3. Act quickly- On average, 30-40% of homes sell in the summer months. This means that competition is tight. If there’s a great home that fits your style, budget and your wants; move quickly or someone else will! Of course you still want to weigh the decision carefully and talk with your North Shore Real Estate agent, but delays can lead to bidding wars or someone snatching up the home first. 4. Have your financials in order- Because you’ll need to act quickly on a North Shore home in the summer, you’ll want to be sure to have your financials in order. This means being pre approved and making sure you’re prepared with a down payment. 5. Don’t be fooled by nice weather- A dry summer can hide a moisture problem in a home. Look for clues of excessive moisture by checking the ceiling and walls for water marks. Mildew is also another sign of moisture issues and will need to be dealt with immediately. You’ll naturally want a home inspection before purchasing the home, but these are a few clues to look for when viewing the home for the first time as they can tip you off to potential issues. Hopefully these tips will help prepare you for what to expect and will help as you begin your North Shore home search. If you have any questions about buying a North Shore home this summer, or are looking for a North Shore Real Estate agent to guide you each step of the way; please let me know! I’d be happy to talk with you and help you find, and buy, the North Shore home of your dreams! Whether you’re considering moving out of your current North Shore home into your dream home, or you’re looking for ways to give your home a fresh update; thinking about remodeling projects can be intimidating. You begin seeing all the things that could be done in your home, and quickly start adding up all the costs. Yet, breathing new life into your home doesn’t have to be expensive! As a North Shore Real Estate agent, there are a few areas I tell sellers to focus on when it comes to updates such as the kitchen and bathrooms. Buyers want to see these as finished so they can move right in without having to tackle projects right away. But, these updates don’t necessarily mean a complete overhaul. Below are eight cost effective projects, as pointed out by Kiplinger.com, that will give your home a quick boost! The best part? Most of these projects you can do yourself! 1. Caulk Windows and Weatherstrip Doorways- Caulking windows and applying weatherstripping to exterior doorways will make your home more energy-efficient by sealing major sources of air leaks. This can help cut down your cooling bills during the summer and heating bills in winter. Both projects are simple enough that many homeowners tackle the tasks themselves. 2. Install Under-Cabinet Lighting in the Kitchen- Adding under-cabinet lighting in your kitchen illuminates work surfaces (a plus for home cooks) and can make the space appear less dated (a plus for future buyers). Since there can be a bit of wiring involved to connect multiple fixtures to each other, not to mention drilling holes in expensive cabinetry, you might want to leave this project to a pro. 3. Add Crown Molding to the Living Room- Crown molding can add a touch of luxury to a living room without a luxurious price tag. Adding a chair rail can also give a room a finished look says Neil Parsons, owner of Design Build Pros, a Toms River, N.J., remodeling firm. Keep in mind, though, that molding should be added for your own aesthetic enjoyment rather than purely for resale purposes. As I mentioned earlier, kitchens and baths are what sells homes about what sells homes. If your remodeling budget is tight, focus your resources on those rooms first. 4. 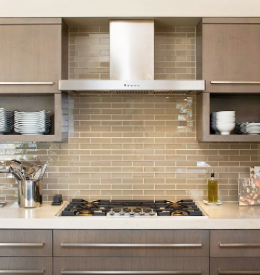 Install a Backsplash in the Kitchen- Up the wow factor in your kitchen by adding a tile backsplash. Ceramic and porcelain tiles are the most popular tile finishes; however, ceramic tile costs less. This will give your kitchen a finished look and can provide an impressive boost to the overall feel of your kitchen. 5. Update Hardware on Kitchen Cabinets- If you have a limited budget, a full-scale kitchen remodel is not an option. However, you can make small tweaks to help freshen up the space. A project that’s cost-friendly and one you can do yourself is updating the hardware on your kitchen cabinets and drawers. As long as your cabinets are in good condition, swapping out dated hardware will give your cabinets an instant facelift. 6. Replace Fixtures in the Bathroom- Consider swapping the existing fixtures in your bathroom, such as the toilet, faucets and shower head, for high-efficiency versions. Not only are you getting an updated look in your bathroom, but you’ll also be saving money on your water bill. Don’t forget the hardware in the bathroom such as faucets and the knobs on the cabinetry can provide an updated look as well! 7. Apply a Fresh Coat of Paint- Professional home stagers recommend painting the interior a neutral color, such as taupe or cream, to make spaces feel larger. But a whole-house paint job is expensive. To keep the project under $1,000, focus on the most visible areas, such as the entryway, kitchen, main-level bathroom and family room or living room. Neutralizing the paint colors will help an array of buyers feel comfortable in your home. 8. Replace the Front Door- This project is aimed at homeowners who are in search of the highest payback from a renovation when they eventually sell the house. According to Remodeling magazine's Cost vs. Value report, replacing a front door with a new steel door will result in a nearly 86% return on the investment at resale. Not able to replace the door? A fresh coat of paint will provide an updated look and revive a weathered door. I hope these tips inspire you to take on a few of these projects! Whether you’re hoping to sell your North Shore home soon, or just want to give your home a quick facelift, these projects can be just the thing needed! If you have questions about selling your North Shore home, or would like to learn about my customized home selling plan; please feel free to contact me today! Deerfield Active Listings: There are a total of 95 properties actively on the market with the average price of $699,6564 in Deerfield. Deerfield Sold Listings: 51 properties closed last month in Deerfield with an average sales price of $430,107, the average time on market for these properties was 65 days. Glencoe Active Listings: There are a total of 71 properties actively on the market with the average price of $1,787,831 in Glencoe. Glencoe Sold Listings: 15 properties closed last month in Glencoe with an average sales price of $1,102,288, the average time on market for these properties was 78 days. Winnetka Active Listings: There are a total of 116 properties actively on the market with the average price of $2,484,539 in Winnetka. 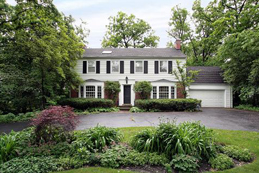 Winnetka Sold Listings: 35 properties closed last month in Winnetka with an average sales price of $1,234,249, the average time on market for these properties was 84 days. Highland Park Active Listings: There are a total of 218 properties actively on the market with the average price of $1,215,489 in Highland Park. Highland Park Sold Listings: 54 properties closed last month in Highland Park with an average sales price of $429,813, the average time on market for these properties was 77 days. Northbrook Active Listings: There are a total of 156 properties actively on the market with the average price of $743,936 in Northbrook. Northbrook Sold Listings: 64 properties closed last month in Northbrook with an average sales price of $400,839, the average time on market for these properties was 80 days.